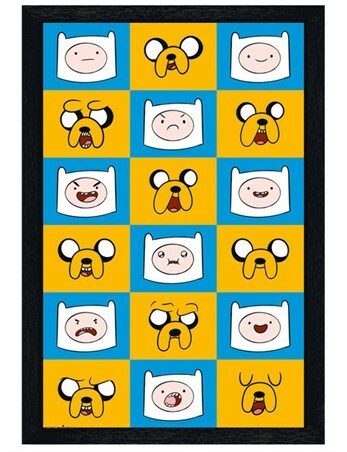 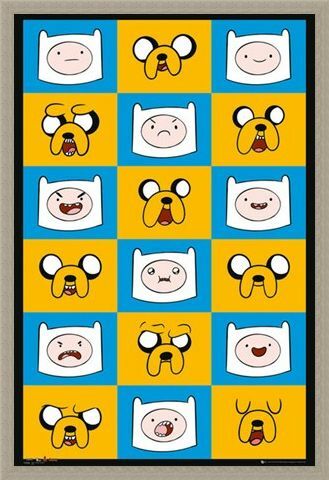 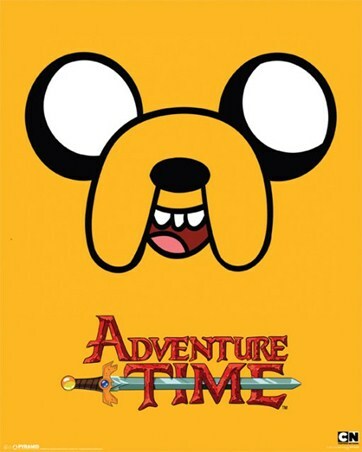 Children's TV Poster: Fans of cult TV show Adventure Time will know that cheeky chums Finn and Jake are forever pulling all sorts of extraordinary expressions to convey their emotions. 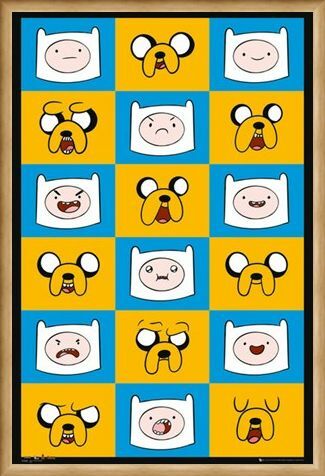 Happy, sad, worried, sleepy, confused or even nonplussed this chequered style poster in alternate colours of blue and yellow shows these sentiments perfectly and is sure to please followers of The Land of Oooo. 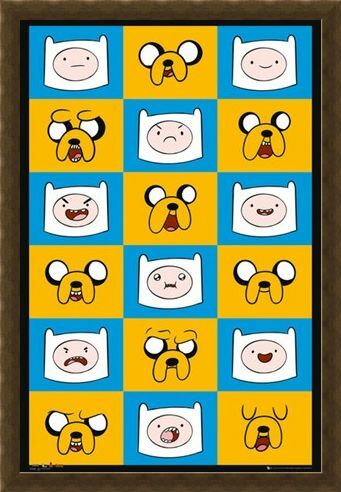 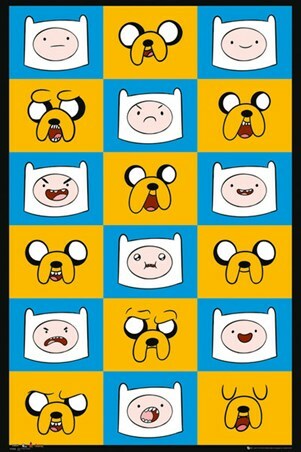 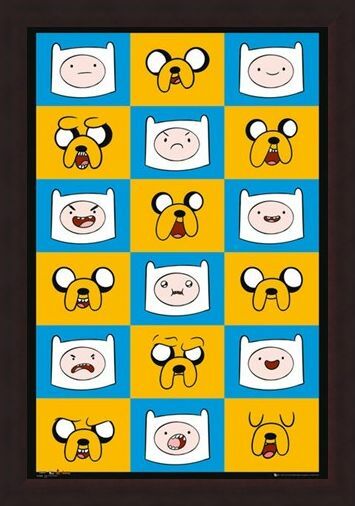 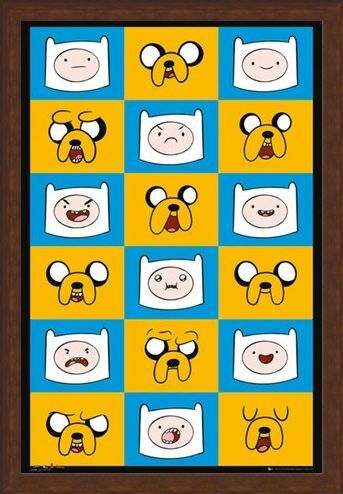 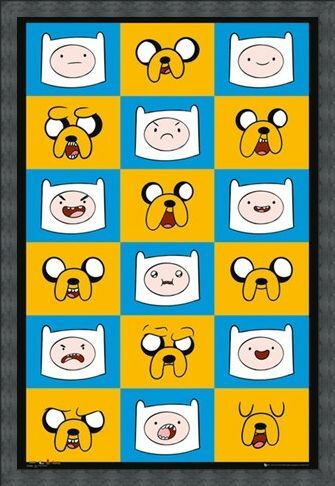 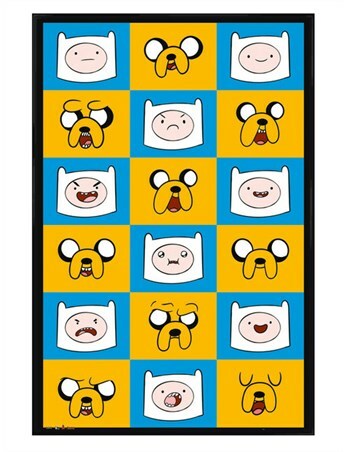 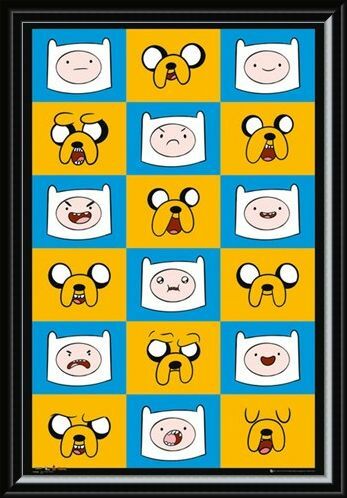 High quality, framed Finn & Jake Funny Faces, Adventure Time poster with a bespoke frame by our custom framing service.